You can listen to Josh’s dulcet tones whenever you tune into the live streams of the St. Norbert College Football and Basketball home games. He provides the color analysis for the teams and brings a sharp eye to Schneider Stadium and the Tilley Arena. 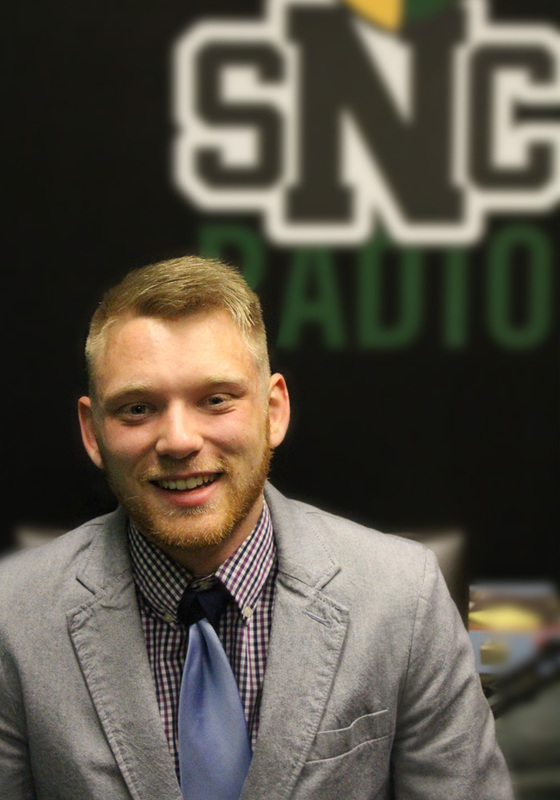 When he’s not calling action for the Green Knights, he acts as the Director of SNC Radio and manages the entire operation. He’s also the principal bass trombone for the SNC Wind and Jazz ensembles. When he’s not making music or watching sports, Josh enjoys yelling at the TV and being chased by black bears.